Last month we announced we would follow 4 people on their journey to pay off debt, make more money, establish their businesses and create a life they love as they worked with Kylie Travers to do this. This is our first update from Kiri (you can read her original post here). 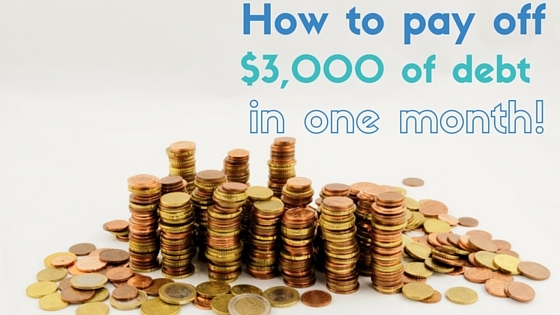 She managed to pay off $3,000 in a month! Here is her update. When I saw this opportunity I thought “Why not, my financials couldn’t get much worse! I must be missing something”. We are a young family with 2 start up businesses and 2 kids 2 and under. We rent half a house from my in laws and are in roughly $16,000 debt, things look bleak! I cringe when I see my bank balance, I try to avoid checking it at all costs. Chatting with Kylie has changed my whole perspective in so many ways. Kylie looked over our earnings, our expenses and our lifestyle in much detail. It was terrifying being so open with someone as I have always been embarrassed and ashamed of our situation. Kylie assured me that we are actually doing quite well, yes things could be better but we have done a lot in the last few years in terms of getting married, having 2 kids and starting 2 businesses so given all of that we are probably better off than would be expected. The next reassurance from Kylie was that we were taking all the right steps to getting back on track, focussing on paying off debt and we had already cut spending back as much as was realistic. Kylie recommended paying off the credit card with the highest interest rate first and just making minimum repayments on the other one. Psychologically this has actually been great as I see more results with those repayments than I did spreading it between the two. Kylie also encouraged me to track our spending, I already had all of our bills for the entire year tracked and money put in a separate account each week to cover these expenses but I had no budget for general spending. After tracking our spending for a month we are averaging on $210 per week. This includes coffees, a dinner out, birthday presents here and there and alcohol, this is definitely more than I would have expected but I guess is not exorbitant. With Kylie’s reassurance that our expenses couldn’t really be cut back much more we decided to focus on generating more income. I started my own business doing virtual assistant work only a few months prior. My plan was actually to go back to uni this year and study primary teaching. After much consideration and a push from Kylie to choose a focus point and gain some direction I chose to defer uni for the year and work on my business. The more I delved into my business the more I found that what I was really passionate about was helping people to realise their potential and to start enjoying their business. A lot of my clients had gotten into business because of a passion, a skill that they had love for but had almost forgotten that spark because of being snowed under in paperwork and marketing and things they didn’t understand and didn’t like. Offering V.A. services allowed me to take some of that off their hands but there was an organic progression into consulting and training and finding solutions for them that they couldn’t see. Because of this development I decided to change my business name from K.T. Administration Solutions to K.T. Business Solutions and offer consulting, training and assistance. This way I have carved myself a niche, I am a business consultant but more hands on with the option for virtual assistant services or the option for me to put in place processes and systems and train the business owner how to use them themselves. This focus has made me much more excited about my work and having a clear direction means I am confident in what I do and what I offer when potential clients enquire. Kylie pointed me in the direction of lots of helpful blogs and Facebook groups where I draw inspiration from daily and I stay motivated. I have started blogging and built my own simple website to draw more business. I also stopped doing all the little babysitting jobs and things I had taken on out of desperation for money, these jobs were paying very little and were taking me away from our businesses which have the potential to bring in a lot more income. I was also so exhausted and stressed at the end of the day from juggling it all that I would often end up spending half my earnings on take away as I couldn’t face cooking! Not productive! 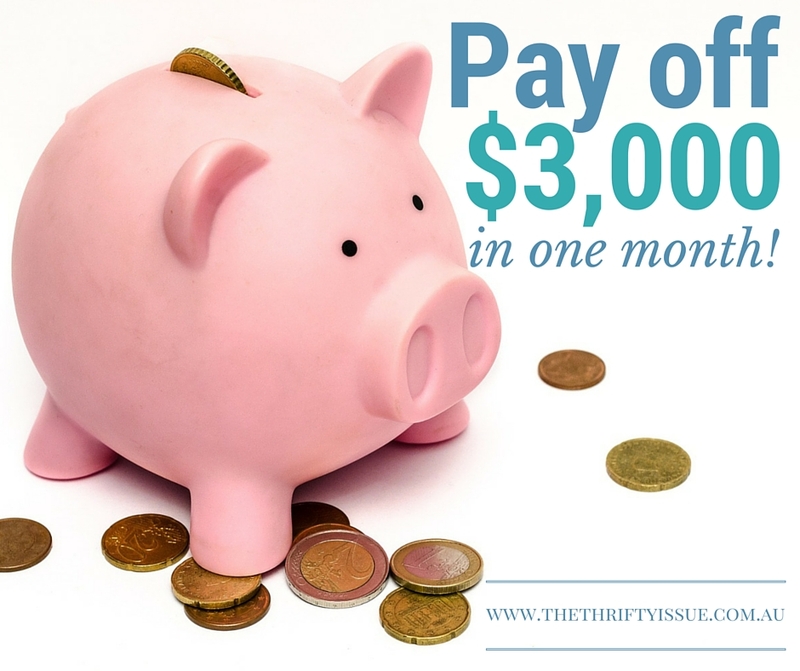 So where am I now, one month in we are in debt $13,000 (I must admit I booked us a weekend away from the kids for our anniversary!) our businesses are both picking up and I’m feeling motivated and more in control of both business and our finances. I’m certain at the end of the next month that debt will be even lower. If you have any tips, comments or compliments for Kiri, list them below. If you would like to work with Kylie to sort out your finances, set goals and create a life you love check out her site www.kylietravers.com.au or email her.